It was reported back in January that the redesigned 2015 Mazda Miata will make its world debut next year at the Chicago Auto Show, but rumors abound that a stripped down version of the new Mazda MX-5 could be revealed at the 2014 New York Auto Show this April. According to Autocar.co.uk, sources close to Mazda indicate that a Chicago launch—which would commemorate the 25th anniversary of the first Miata’s reveal—does not accommodate the automaker’s launch timetable. Birtwhistle also said that the new Mazda MX-5 Miata will have “an MX-5 face,” which suggests that it will have the traditional oval grille that has defined the two-seat roadster for two-plus decades. MotorTrend (who also managed to score some spy shots of a prototype being track-tested) confirms that Birtwhistle’s comment echo the sentiments made at the 2013 SEMA Show by Mazda North America Director of Design Derek Jenkins. 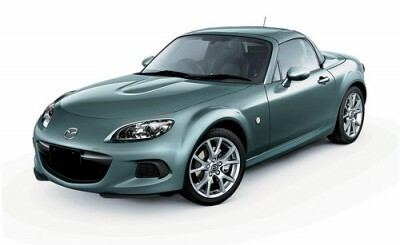 Jenkins stated that one of the goals of the new Mazda MX-5 Miata will be to lower the average age of the typical Miata buyer (currently around 60 years) and capitalize on the under-30 market that is so fascinated with the Scion FR-S. Whether we see it next month or next year, we are excited to see just what the 2015 Mazda MX-5 Miata will have in store (KODO design language and SKYACTIV® TECHNOLOGY seem like pretty safe bets). What do you want to see in the next generation of Miata?